Since its inception in 1998, Pushkar Resorts maintains itself as the foremost luxury resort in Pushkar. 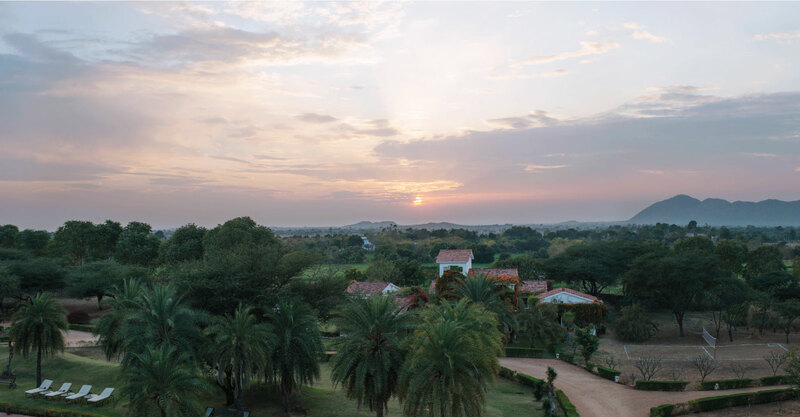 Spread across 15 acres, the property was merely a stopover for the Kochhar family for their wilderness expeditions, which slowly developed into a resort with the likes of Kate Winslet and Harrison Ford visiting the property. Starting out with ten cottages and a swimming pool, soon Pushkar Resorts organically grew into forty cottages which were divided into small clusters built around the undulating landscapes. What stood out and made the property radically different from the usual lakeside properties in the city was the lush green landscape and fruit orchards that the property is surrounded by. Being one of the foremost resorts of Pushkar, Pushkar Resorts was soon established as a haven amidst nature, though with all the modern amenities required for a comfortable & memorable stay. In spite of having a secluded vibe, Pushkar Resorts is still close enough to the hustle-bustle of the Pushkar town as well as Ajmer city.